What a view to sit and look at this beautiful fountain and the reservoir behind it. Very beautiful fountain in a peaceful place. Nothing like the sound and sight of calm waters to bring a sense of peace. Had to smile at arctangent's comment re the 'melon'! That is such a lovely fountain. At my "old" house, I had a fountain on my deck, and I just loved sitting out there (if it wasn't 100+ degrees) and listening to the sounds of the moving water. Great shot! Beautiful fountain--makes me want to see the details of the lovely women in the sculpture. I think this would definitely soothe my soul...so beautiful! 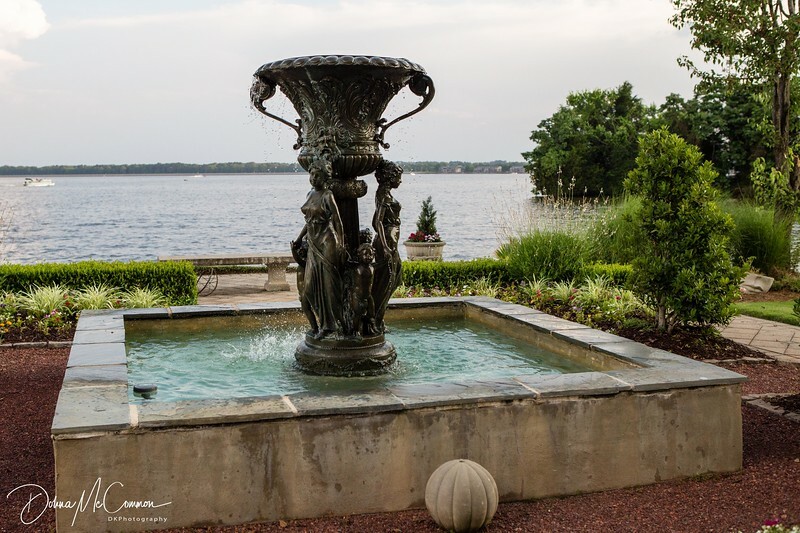 It is a beautiful fountain, with a beautiful view. But I'm stuck, stupidly, wondering what that melon is doing, crashing the party.